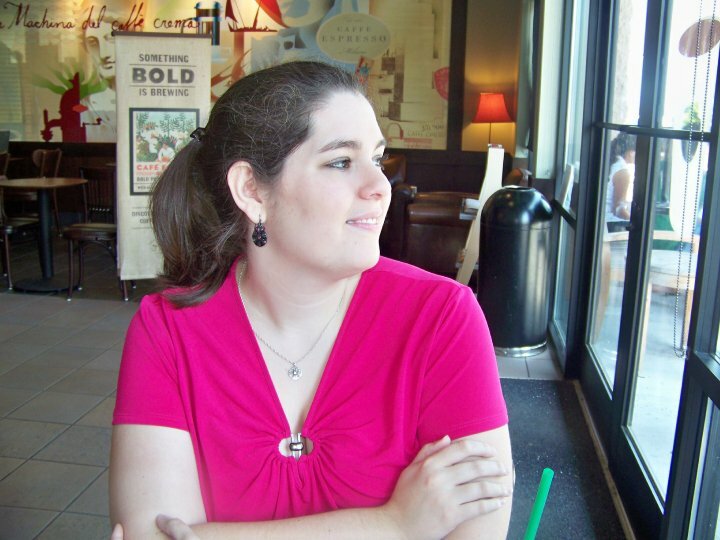 Goodreads Summary: Lucy Beck-Moreau once had a promising future as a concert pianist. The right people knew her name, her performances were booked months in advance, and her future seemed certain. As a musician, almost any book that involves music, and especially one with a piano on the cover, is a must-read for me. Even though this book is about more than just music, the way music factored into Lucy's story has stuck with me and left me thinking about my own career even after finishing it. From an early age, Lucy had a promising career as a concert pianist - then she walked away from everything. But she still can't escape a musical family. Now, her younger brother Gus is the promising musician in the family, subject to their grandfather's management. When her brother gets a new piano teacher, Will, he poses a question to Lucy - does she want to play again? Lucy knows it can't be that simple. But the more time Lucy spends with Will, the more she wonders if it might be just that simple after all. However, even if she wants to play again, would her grandfather ever allow it? More importantly, what is it that would actually make her happy? "You couldn't to be be that kind of happy all the time. She knew that. But sometimes, you could. Sometimes, you should be allowed a tiny bit of joy that would stay with you for more than five minutes. That wasn't too much to ask. To have a moment like this, and be able to hold on to it." The Lucy Variations cane be read on two different levels. From a musician standpoint, it was about finding your musical niche, whether that is performing, teaching, or another related area. It was a reminder to draw inspiration from the world around you, to bring your heart to the music, and always remember why you have the passion for it. For me, this reminder came at a very good time. Like Lucy experiences, with all of the pressure in the musical world, it's easy to lose sight of love for music, but when your heart is gone, the music suffers. However, from a non-musician standpoint, it's about finding your own way, finding your own passions, and not letting your family or others control your life. Lucy's journey is an emotional one as she tries to figure out what she truly wants. There were a few other issues in this book in addition to music. Zarr explores family relationships: parent/child (and grandparent/grandchild - and there were a few times I wanted to strangle her grandfather) and sister/brother, as well as a different side to student/teacher relationships. Lucy walks a fine line with Mr. Charles and also with Will. Still, Will helped to give Lucy the kind of coaching and also the friendship that she needed, and it was hard not to swoon over him. In addition, this book mirrors life in the way that a lot of things are left unresolved at the ending. I want to know more about these characters, and how things worked out for Lucy, but this book was also a great snapshot of a pivotal part of Lucy's life. "Music, her grandfather always told her, was language. A special language, a gift from the Muses, something all people are born understanding but few people can thoroughly translate. She could, he'd told her. Listening and playing were two different things; each involved its own kind of translation. She listend now, and translated. The leaves. Their naked feet. Her grandmother's freed hair. Her grandfather's almost-touch. Yes, the world was beautiful. But music made that beauty personal. Nothing else could do that. Nothing." 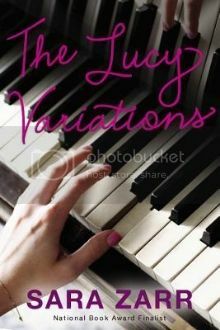 The Lucy Variations is a story that continues to make me think, and it offers something for anyone who reads it. Even though this was my first Sara Zarr book, it definitely won't be my last. My sister read this and really enjoyed it. I love books/movies that are centered around music too so I am excited about this one. People always need a reminder to follow their own dreams and passions and not to get pressured by anyone around them into following their dreams and not their own. I'm in the middle of reading this right now and was probably drawn to it for the same reasons you were. It's great writing and I love all of the complicated family dynamics.